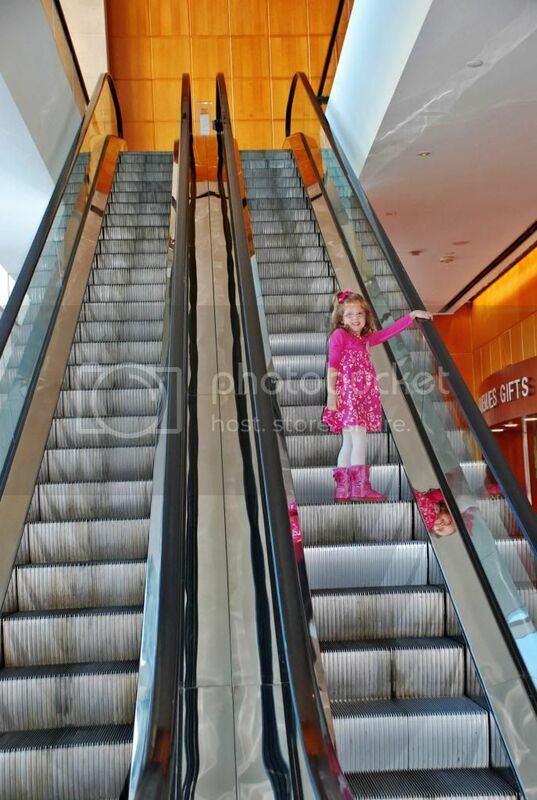 Amelia loves escalators! This one, in a Westin hotel, is steep and fun. We had no idea that our nice Thanksgiving dinner out would include a ride!